You are here: Home / Our Blog / Uncategorized / Celebrities get braces, too! 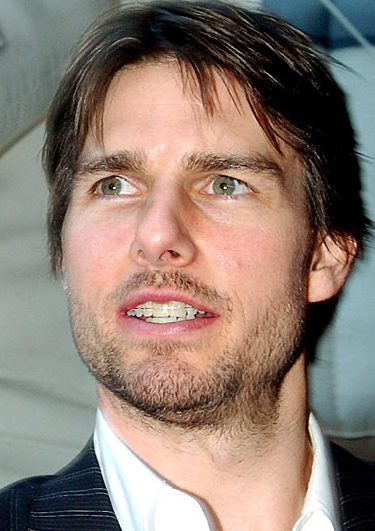 Did you know that back in 2002, Tom Cruise had braces? During this time, he was 40 years old and filmed Minority Report, Austin Powers in Goldmember and the Last Samurai. Check out his smile in Jerry Maguire, Rain Man or The Firm and compare to the post-braces Tom Cruise in Valkyrie or Tropic Thunder. The fact is, movie stars need to look their best for the silver screen, and it wouldn’t be possible without orthodontists like Dr. Childers. In fact, lots of Hollywood stars have had orthodontic treatment. If you’ve thought about getting the perfect smile you’ve always wanted, please give Childers Orthodontics a call. https://childersbraces.com/wp-content/uploads/2011/07/Tom-Cruise-braces.jpg 531 375 DrCAdmin https://childersbraces.com/wp-content/uploads/2016/10/logo-childers-orthodontics.png DrCAdmin2011-07-22 19:22:002019-03-08 06:38:27Celebrities get braces, too! Stay cool with a braces-friendly summer treat! Why do you choose Childers Orthodontics?